$150 Gift Card included for future purchase. $219.00 of free extras with purchase! Get a taste of the good life with the Miele CM6150! The CM6150 brings delicious coffee and a staggering amount of drink options at a compelling pricepoint—without sacrificing any of the well-loved features of popular machines. Set to satisfy the needs of large households and small offices, the CM6150 packs in profile-programming for dedicated one-touch drink recipes in 4 different profiles. 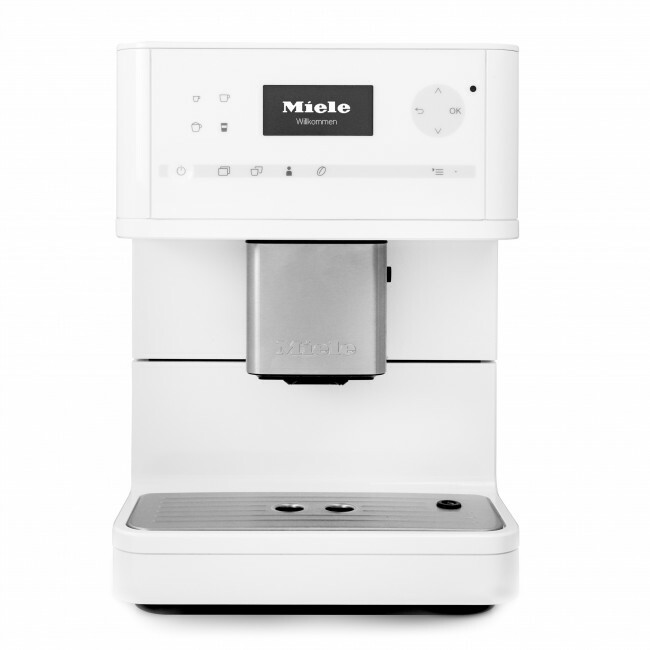 Other must-have features include an auto-start timer, a brew-for-two function, automatic cleaning cycles, and a removable brew unit for stress-free maintenance. And, with design cues that meld seamlessly with Miele's other kitchen appliances, the CM6150's sharp-edged, straightforward shape plays well in any modern kitchen. Programming Profiles - Program 4 dedicated drink buttons for 3 different profiles! 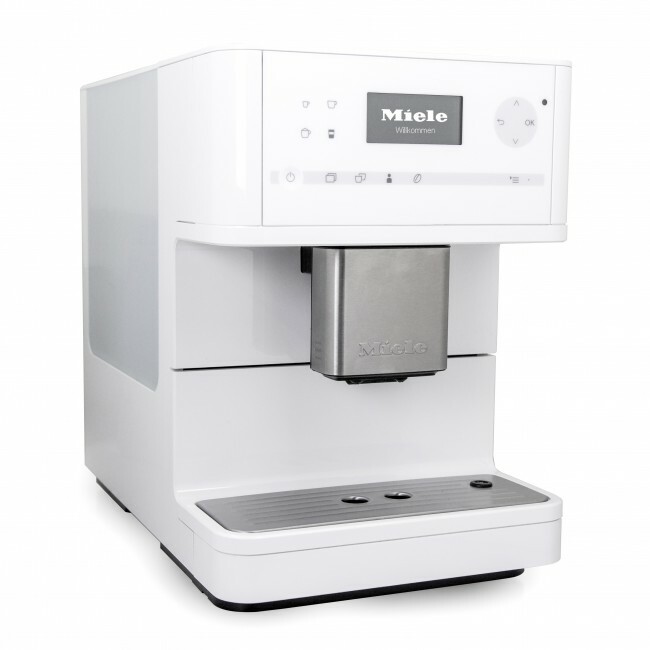 Espresso and Coffee - The Miele comes ready to brew both espresso shots and longer extractions for drip-coffee lovers. Easy-cleaning - Miele programming includes auto-rinsing and reminders for spout cleaning and descaling. Auto-on and Off - Set the clock for wake-up and shut down times. No need to wait a whole minute for the machine to turn on. Milk Siphon - The CM6150 includes a milk siphon tube you can drop into any container for automatic milk steaming. Programming x Price - The CM6150 packs in a ton of features—crisp screen, auto-on programming, power saving mode, user profiles, removable brew unit—at a very compelling price. 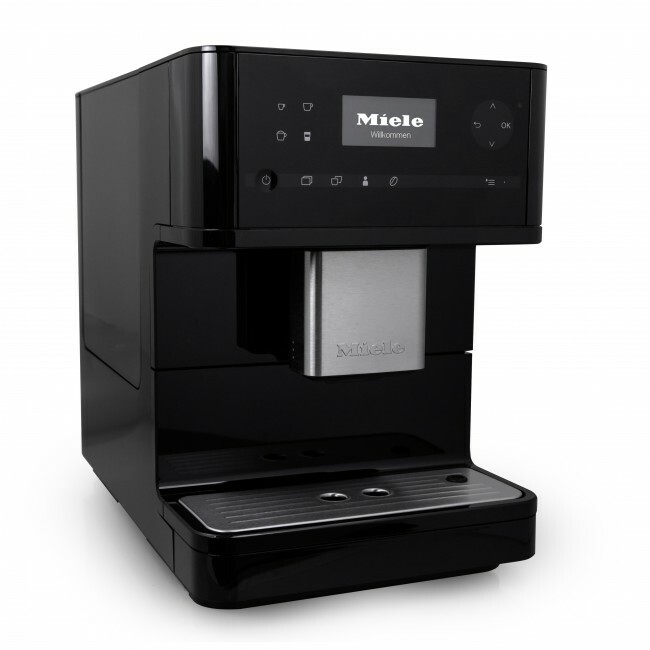 Coffee Flavor - And, Miele delivers where it counts. Shots are noticeably hotter and deeper in flavor compared side-by-side with other superautomatics. Drink Programming - Unlike other machines, where dose and temperature are universal settings, the CM6150 offers these option on each drink. This gives you standout control over drink options. Hello! Meet our Menu System - The menu system for Miele is not like others. 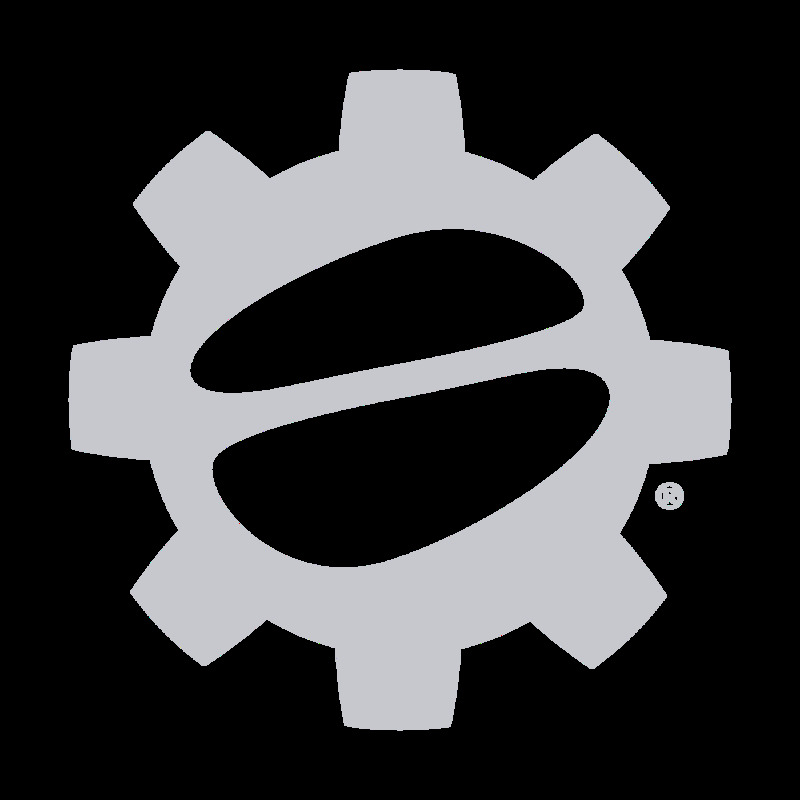 Even for seasoned users like us, it takes a little time to memorize the menu system and programming options. The CM6150 is Miele's entry-level superautomatic. 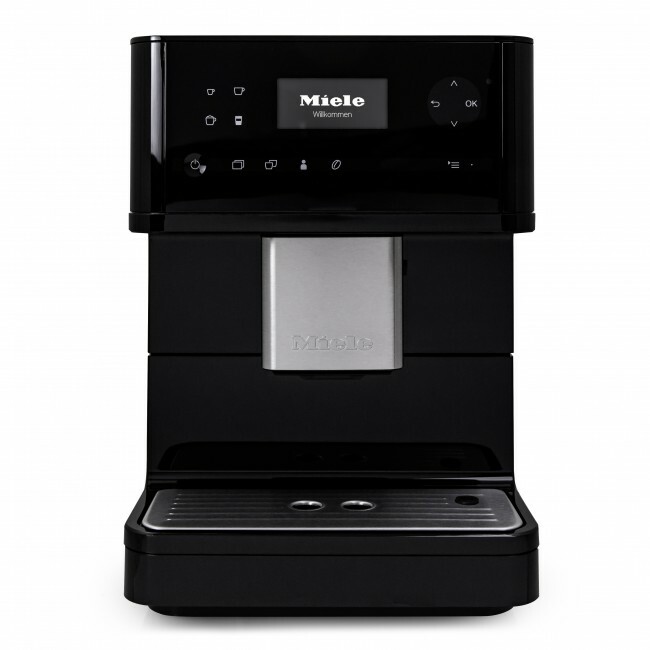 The CM6150 lacks the active cup warmer, barista lights, milk siphon and carafe, and hot water spout, of the CM6350. Soap out reservoir and drip tray weekly. Remove and hand wash dispenser head weekly.